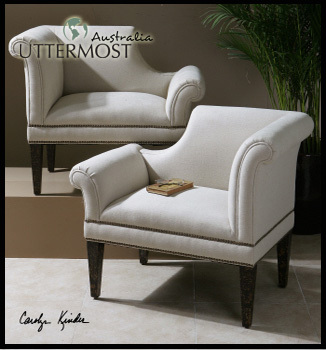 The trendy design of your lounge room may have followed all of the modern design standards at the time you decorated it, but the effects of time will inevitably catch up to all current trends, prompting the need for you to refresh and update your lounge design at some point. 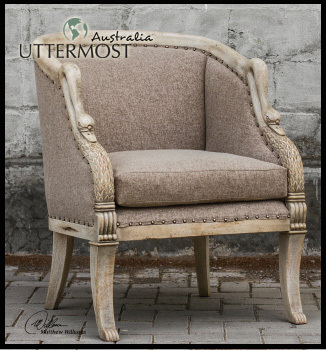 Design trend evolution will eventually mean the interior décor in your lounge room is outdated, to the point where you cannot even pass it off as a classic look anymore, but there are a few easy steps you can take to update the design of your lounge room, when the need arises. This is probably much easier said than done, but prevention is always better than cure. If you are right in the middle of decorating your interior living room space, you will be familiar with the fact that home designer product ranges include mirrors, table lamps, accent furniture pieces, design accessories, wall art and décor, which means that there is a lot to consider in an attempt to buy with a vision of the future. Buying with a vision means that you should acquire décor units that can very easily fit in with different themes and design styles, like table lamps that will allow you to change lamp shades for example, leaving ample leeway for a quick color-scheme upgrade to resemble more modern and trendy looks, as they emerge. It’s rather amazing what complementary styling can do to your ageing lounge room design. Those dominant design styles, which are getting on in the years, are actually quite easy to overpower and neutralize, with the simple use of fabulous home designer products available at affordable prices. Since home designer product ranges include mirrors, table lamps, accent furniture pieces, design accessories, wall décor and art, one modern and progressive color scheme represented throughout all those décor units can work wonders to modernize and lift the entire lounge room space. The rate at which design trends change may be relatively high, but in design terms it is not to the extent that you have to re-do your lounge room every two years or so. 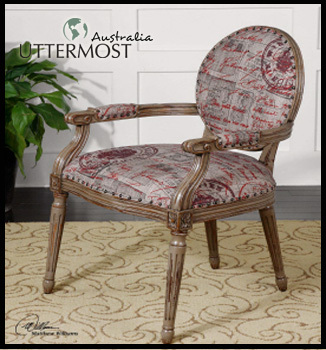 Some accent furniture pieces, here and there, could go well with the re-arrangement of the layout plan, giving your existing furniture and décor an instant fresh and progressive look. 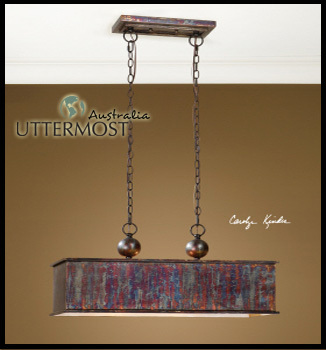 Nothing updates a lounge room quite like modern wall décor and art, with abstract and simple art pieces going well with clean, print-art type of wall décor. Actual renovation and expansion of your lounge room would very likely prove to be costly, so the next best thing, which can be just as effective, is to create the illusion of added space by including design accessories such as large mirrors and other reflective home designer products. Complement that with a lounge room arrangement that pours more natural light into the room and you instantly create the kind of functionality characteristic of modern interior spaces. Grayson Manor has endeared itself to the hearts of many people, for a number of reasons, one being the luxurious, classy and homely interior décor of the house. It is no surprise then as to why so many people may want the ‘Revenge’ look for their own homes, whether to replicate the resemblance of the leading character’s strength or simply because they have fallen hopelessly in love with the interior décor and what it accentuates. The actual process of working towards achieving this look for your own space may appear to be somewhat of a daunting prospect, since you might not exactly have the TV-production company budget those ‘Revenge’ interior designers clearly had. With the right knowledge and access to fabulous designer pieces at affordable prices, you can very easily achieve the Revenge look without breaking the bank. First we need to define this look in real world design terms, so that you know how to go about hunting the appropriate décor units to achieve the look. If you take a look at Grayson Manor, the interior essentially mirrors the grandiose appearance of the exterior, giving a feeling of a perfect balance between abundance of space and coziness at the same time. While your particular interior space may not be characterized by high ceilings, long hallways and lots of space, you can still create that illusion of space very effectively, using the right selection of fabulous home designer pieces at affordable prices. Because complete home designer product ranges include mirrors, table lamps, accent furniture pieces, design accessories, wall décor and art, achieving the ‘Revenge’ look is simply a matter of knowing which pieces go well with which spaces and how those pieces complement each other. Starting off with the colors, the design accessories, which include pieces such as accent furniture, table lamps, wall décor and art, should follow a “warm” color scheme, giving off the illusion of illumination when it gets darker and the lights have to come on. That peach/very light-orange color, complementing some very natural browns, always gives off that feeling of luxury, while maintaining that family coziness everybody is always after. This is achieved through the positive reinforcement of home designer products, like matching table lamps, everywhere where there is space for them. Mirrors must be placed in strategic places to create the illusion of more space (along entrances to hallways and some rooms) while accent furniture pieces, design accessories, wall décor and art should be strategically positioned such that some reflective surfaces “multiply” them. Lastly, the most important part of the arrangement setting is to allow for adequate living space, taking extra care to keep all the furniture and design accessories clear of natural light-inlet points, like windows and doorways. 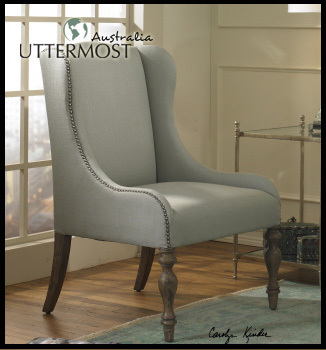 In Australia you can get the “Revenge look” by using fabulous design pieces from the exclusive Australian distributor Uttermost Australia. Designer Tips: Can you add too much light to a room? Yes you can! When designing with light you must consider all light sources, including natural light. You must also take into account day and evening options. If you over light a room, the effect will be harsh and uncomfortable especially at nighttime. 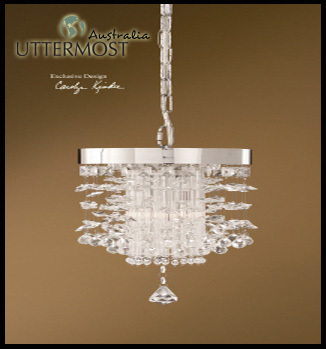 If you have layered your lighting correctly you need not rely on your decorative pieces for light – lamps with dark or black shades, or chandeliers with dimmer switches are among the lighting options that can be added for fashion without over lighting your room. In location of lighting, are there other do’s and don’ts? One of the most important considerations in the placement of light fixtures is the glare they produce. Direct glare – as from a bare light bulb – is the worst kind. Always use the correct bulbs to avoid glare and also beware of reflected glare, light that bounces off of other objects into the eyes. My room seems too big/small…. how can lighting help? The direction in which you point the light can be very helpful. Ceilings can pose problems, or they can become special features. If the ceilings seem too low, bounce light from up-light fixtures (like torchieres) as this can visually “raise” the ceilings. Cathedral or beamed ceilings can also he highlighted and take on new importance in the overall design of a room with up lighting. Two common problems in older homes are rough or patchy surfaces., and high, cavernous ceilings. To alleviate lighting issues, keep the lighting off the ceiling by using only down lighting (like chandeliers or semi-flush mounts). Imperfections in a surface will be less noticeable without direct light shining on them. Room dimensions can “appear” to be altered with the proper lighting. Smaller rooms can look more expansive and large rooms can be warmed with the correct lighting fixtures. Washing the four walls of a room with soft light, combined with a light toned paint can create the effect of a larger room. Conversely, a large room illuminated with a few soft pools of light concentrated on certain objects or areas can make a room feel smaller and more intimate. What about a narrow room or hallway? Narrow rooms can benefit by placing lighting on the short walls of the room rather than drawing attention to the long narrow walls. This results in a wider looking space. 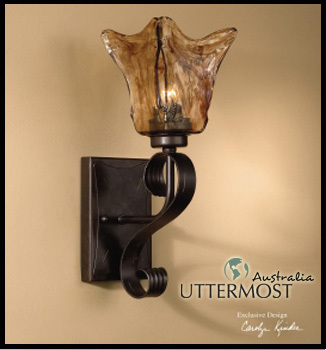 In narrow hallways choose sconces that project light both up and down the walls and that light both sides of a hallway. I have a lot of beautiful features in my home, like stonework and silk window dressings. How can I show them off with lighting? Skimming them with light will highlight textured surfaces, whether it be a soft surface like fabric or a hard masonry surface. Acute angle placement near these surfaces will help achieve this effect. How can I use lighting to show off the beautiful decorative objects in my home? Backlighting decorative objects can help accent them. Bouncing light indirectly onto an object can also achieve a pleasant effect. Lighting something from below works particularly well on transparent or translucent items such as glass. Any tips for my Entryway? Entries should not be overly lit. The transition from outdoors to indoor can be disorienting. Remember to avoid glare in this area. This is best done with multiple light sources. Make the entry warm and inviting. Lighting is very important here, as it is the point where the first impression is made.